Odds are, if you’re skiing Mount Baker, you’ve caught wind of the worst-kept secret in North America: No resort has more snowfall. Locals are still buzzing from the record 1,140 inches of snow during the epic ’98-99 winter season, and Baker consistently finds itself at the top of the table each year. But Baker is more than just a table topper. As one of the backcountry havens of the country, it’s become a cult lifestyle, a protective-to-a-fault mountain where time moves slowly, cell service is a luxury, and loose lips sink ships. But while you’ll need more than just a friendly smile to get directions to the more secret backcountry stashes, skiing inbounds at Mount Baker is akin to skiing with a giant family, full of whooping, yelling, and celebrating from both the chairlift above and the skier below. When the snow is falling, life is good. And damn does that snow fall often. In a time of triple-digit day passes everywhere from Tahoe to Telluride, this mountain at the end of the road is a breath of fresh air. Adult day passes are set to be $57 this season, turning Baker into one of the more fiscally-friendly mountains for families to ski together. And is there a road that better captures the soul of a mountain more than Washington’s Highway 542 ? Also known as the Mount Baker Highway, there’s only one way in and one way out to the mountain: A two lane highway that snakes through the beautiful countryside outside of Bellingham before following the Nooksack River as it climbs back into the frosty Cascades. As word has spread, Baker is no longer a locals-only resort. Adventurous families from the north come down from Canada, and die-hard powder hounds from the south come up from Seattle, all in search of shorter lift lines, cheaper lift tickets, and deeper snow. 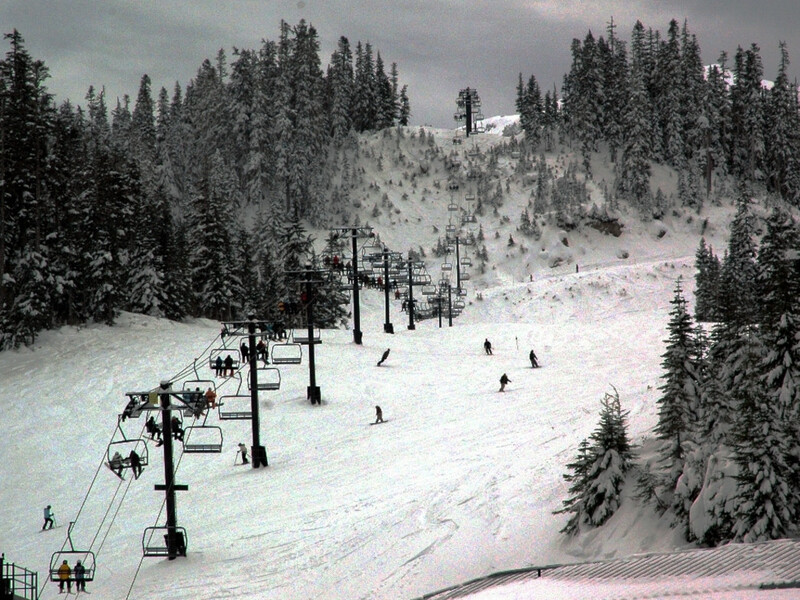 Mount Baker’s inbounds size, however, is smaller than the surrounding resorts, so lines have grown longer and the mountain no longer feels empty. And if you’re of the purist breed, or teaching the young kids the importance of waking up early for that first chair on a powder day, you’ll need to get there early: whether it’s chair 7, chair 1, or the cat track to chairs 5 and 6, the line can begin growing an hour before the lifts start spinning. But waking up early builds character (or so my parents told me), and when the snow’s falling, Baker is worth the building some character. The downside for powder hounds: While most resorts see half of the skiers head to the lodge during heavy snowfall and high winds, this mountain won’t. Powder culture still reigns supreme, and even though there can sometimes be enough snow to give you fresh tracks down the same run each lap, the whole mountain is going to be out trying to beat you to them. Mount Baker is the powder-chaser’s mountain: Lots of snow and purist culture, but the secret is out and when you don’t have the size of a mega-resort, you’re going to have to get creative in trees to find some space of your own. In fact, in part because of the backcountry access directly off the resort but also because of the heavy dumps of snow that can build up in a matter of hours, Baker is one of the few mountains where it won’t be uncommon to see everyday resort skiers riding with avalanche gear and backpacks. 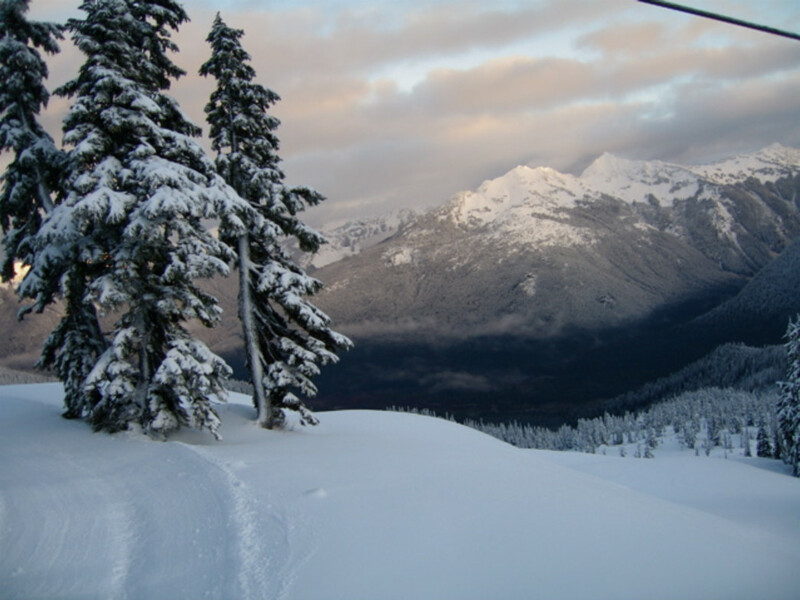 Poetically speaking, Mount Baker is less of a resort and more of an enchanting collection of chairlifts through the trees. Though roughly a quarter of the runs are “green,” far-fetched is the skier searching for the classic resort corduroy. The quintessential northwest snow is wet and heavy, and can be tough for those still learning to carve. You’ll see an disproportionate amount of twenty-something’s on fat skis and powder boards, but don’t let that fool you: Our parents have been slashing the same deep snow their entire lives, and they did it on 80mm at the waist of the stick. 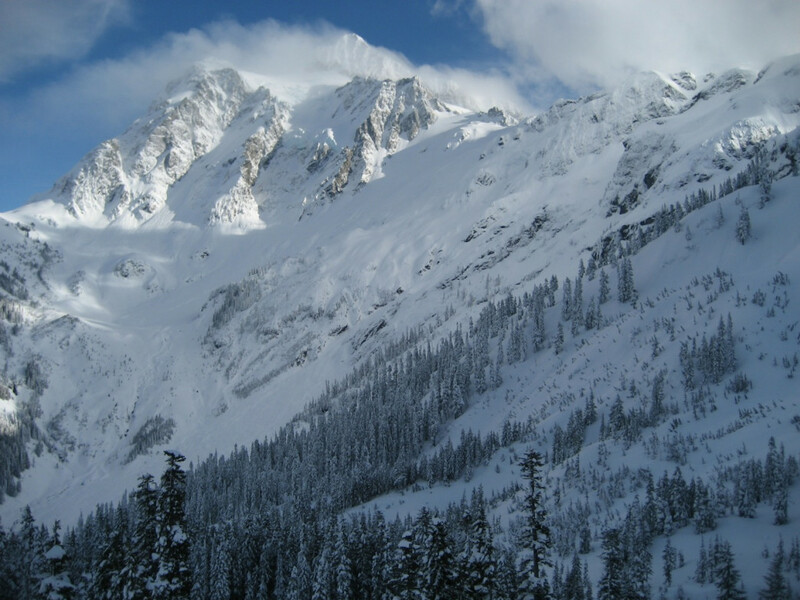 That being said, Mount Baker is an oxymoron of a mountain: Beautifully rugged and routinely chaotic, a mountain on which you don’t learn to ski, but rather, learn to become a skier.